An expansion to the Irish-Canadian work program will make it easier for Irish to get a visa. As Irish people know only too well, it’s enormously difficult and in some cases impossible to secure legal immigration status in the U.S.
Our northern neighbors in Canada, though, have taken major steps to make the path to temporary legalization much easier for Irish people aged between 18 and 35. Irish citizens in the age group have been able to obtain year-long work permits to Canada since 2003 under a reciprocal arrangement with the Canadian government – the benefit is also extended to same age Canadians wishing to live and work in Ireland. Last week in Dublin, Canada’s Minister for Citizenship Jason Kenney announced an expansion of the Irish-Canadian program along with Irish Foreign Minister Eamon Gilmore. The number of available visas will jump to more than 10,000 by the year 2014, and visas will be good for two years. “I visited Toronto over the St. Patrick’s Day weekend this year to meet those participating on the program as well as the companies seeking to hire Irish workers. At that time both Minister Kenney and I felt that the program could be enhanced to better meet the needs of participants and perspective employers,” Gilmore said last week. The U.S. and Ireland also has a reciprocal work-holiday visa arrangement since 2008, but the requirements are more stringent. It is open to people aged at least 18 (the upper age limit is 40), but eligibility also rests on education as applicants must be recent third-level graduates (recent being defined as a year prior to visa application) or else enrolled in third-level education. 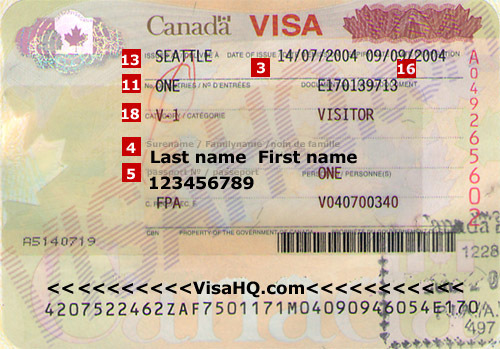 The Canadian visa has no educational requirement. The U.S. visa is good for only one year, and the job on offer must be related to the applicant’s field of study. “Relations between Ireland and Canada are already close, based on shared cultural and democratic traditions. The expansion of the International Experience Canada [IEC] initiative will create new economic opportunities and further strengthen the bonds between our countries, ensuring that our longstanding partnership endures well into the future,” Kenney said during his meeting with Gilmore. The IEC started small, with only 100 visas in place in 2003, but has grown substantially since then. The quota for the current year stands at 5,350, with a sharp rise set for 2014 when the number grows to 10,600 available visas each year. There is an residency requirement attached to the Canadian-Irish program which could prevent long-term Irish residents of the U.S. fro applying. The Irish applicant must have physically resided in Ireland for at least three years before applying to take part in program. An exception can be made to this rule if the candidate resided in another country to go to school or to work for a short period of time, but the period of time outside Ireland must not exceed 18 cumulative months in the three years preceding the application, according to the Canadian government website . The Irish are enthusiastically taking up the Canadian visa offer, with the 2012 entry period closed as of May. “Due to an unprecedented volume of applications being received at the onset of the 2012 [visa] initiative, we are currently experiencing difficulty in adhering to our service standards to process applications in eight weeks,” the site advised. That workload will undoubtedly increase in the years ahead as Canada opens its doors to more Irish.